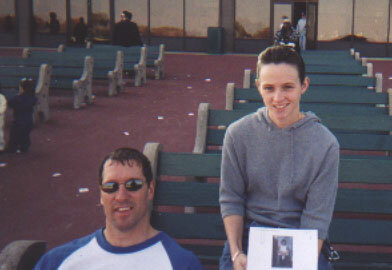 Me and jockey Baccarra Rice got a pic taken when I went up to Penn National Racetrack. 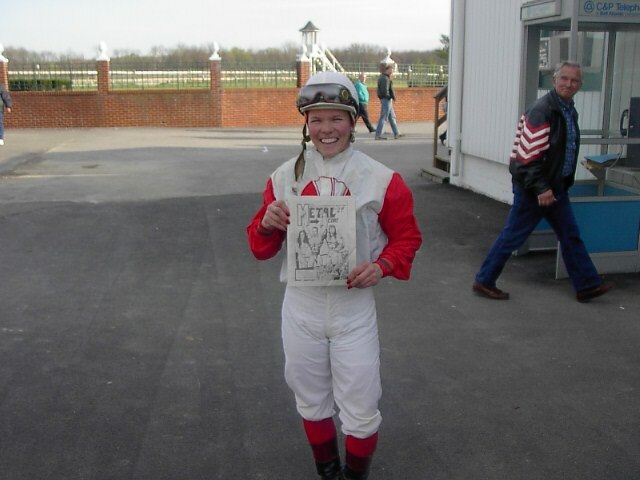 Me and jockey Kaymarie Kriedel over at Laurel Park in Maryland. 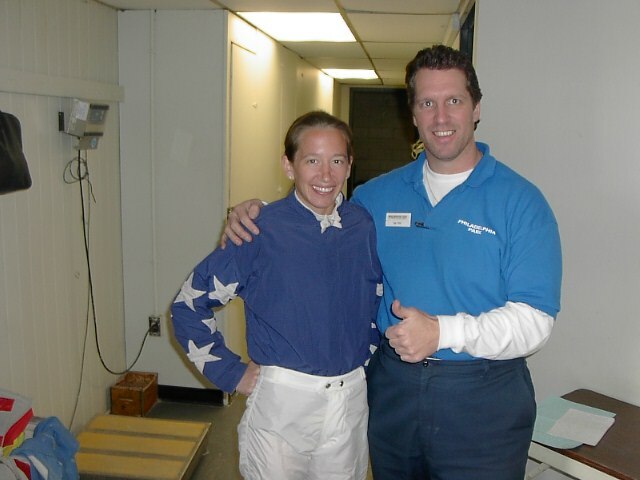 Me and jockey M.C Brock over at Philadelphia Park. Kaymarie holds up her favorite magazine ever. Me and jockey Tara Hemmings and she catches on really fast as to what I do in all my pics doesn't she? 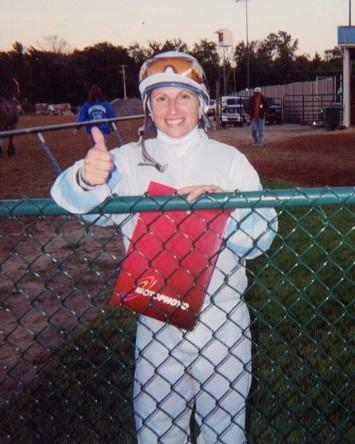 I asked Mary Doser what she thought of my website and the above pic says it all. 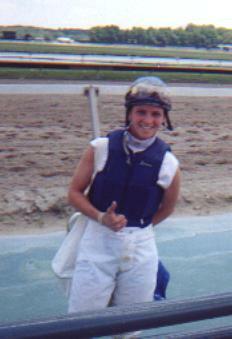 Jockey Rolanda Simpson gives my website her stamp of approval.